Summary : Just Diagram It! Grow Grammar lets users create and diagram sentences using different parts of speech. After loading the app and viewing the examples, users must choose if they wish to create a sentence or use the app in challenge mode. If the “Create a Sentence” option is selected, the app loads a new screen and users must tap the “Sentence” button. Next, the app presents users with “Noun Phrase” and “Verb Phrase” buttons. When users click a button, the app provides them with additional options. For example, if the “Noun Phrase” option is selected, users can then choose if they wish to add an article, noun, or both by tapping the corresponding button. After tapping the button, the app loads a menu on the right side of the screen with a list of words they can insert into the sentence by tapping them. When users tap a word, the app automatically adds it to the sentence. Users can repeat this process to add words to their sentence until it is complete. Once complete, users can click the “Capture” button to save their sentence to their camera roll and tap the “New Sentence” button to begin another sentence. Users can also change the function of the app, from creating sentences to diagramming sentences, by tapping the “Challenge” option. In this mode, the app presents users with a sentence, and users must tap the “Sentence” button on the bottom of the screen. Next, the app begins to grow a diagram by offering the “Noun Phrase” and “Verb Phrase” options. Users can tap these different buttons to grow offshoots. For example, by tapping the “Noun Phrase” button, users are then presented with a “Noun” and “Pronoun” option. Users must view the sentence at the top of the screen and then tap the option that aligns to the sentence. Once a selection is made, users must tap the corresponding word in the sentence that matches with the part of speech they selected from the diagram. As they do, the app automatically labels the different parts of speech. Please Note: Grow Grammar contains multiple levels and each level increases the complexity of the sentences. Users are able to access level one for free, but it only includes nouns and verbs. Users will need to upgrade in order to unlock all of the app’s levels. After teaching different parts of speech, teachers can have students use this app in the “Challenge” mode to begin identifying different parts of speech in a sentence. After students understand the app’s functionality and method for diagramming sentences, teachers can shift students from diagramming sentences using this app to diagramming them by hand. To do so, teachers can provide students with a text and have them select a sentence from the text to diagram. Students can then copy the sentence on a piece of paper and begin diagramming it. Students can practice writing grammatical sentences with this app. To do so, they will need to choose the “Create” option and then begin constructing sentences. When they finish, students can use the “Capture” option to take a photo of their sentence and then upload it to a class website. 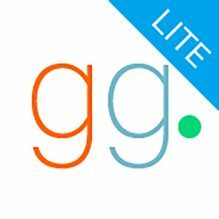 After using this app and becoming familiar with its method for diagramming sentences, teachers can offer students an extended learning opportunity based on this app. To do so, teachers can have students write a sentence on a piece of paper with certain parameters (e.g., The sentence must be 14 words in length, contain one pronoun, and end in a series of three items). Students can then swap papers and diagram their peer’s sentence. When they finish, students can give their work to a third peer who can assess it for accuracy.